Souk Semmarine: The famous Souk districts of the Medina. 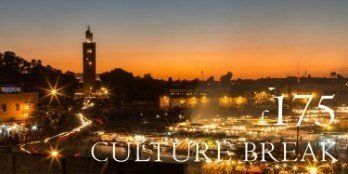 If you speak to anyone who has visited Marrakech, you can be sure that they will mention the red city’s famous Souk District. 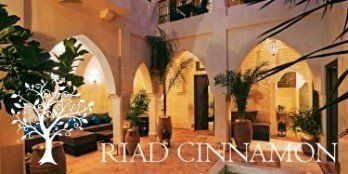 Located in the very heart of the Medina, just north of Jemaa al-Fnaa and a five minute stroll from Riad Dar Habiba, Cinnamon, Papillon and Riad Star. The souks of Marrakech are the largest you can find from all four corners of Morocco and it’s astonishing to think that for a thousand years the district has acted as a thriving central hub for trade and commerce without very little changing at all. Though allowances have been made for modern tastes, many of the traditional commodities can still easily be bought from the winding alleys of the Souks. As you first walk into Souk Semmarine (the central channel of the district) the sensory overload of sight, smell and sound makes it difficult to focus on any one thing at once! As you come to your senses you will find yourself walking past stalls and shops specialising in pottery, pâtisseries, textiles, spices, carpets, jewellery and more. All of which are dimly lit under the covered boards that shield the alley from the intense Moroccan sun, giving Souk Semmarine a truly magical and mysterious feel. As the night sun begins to set, the atmosphere in the red city’s central square, Jemaa al-Fnaa, begins to change, so does it in the souks. 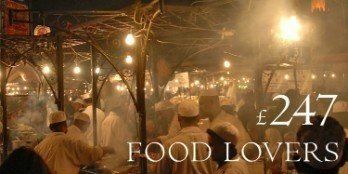 Indeed, in our opinion, early evening is the best time to visit both the Souks and the Jemaa al-Fnaa square. Look out for stalls specialising in Moroccan lamps, the craftsmanship that goes into designing the lamps is an art that is usually passed down through families, generation after generation. 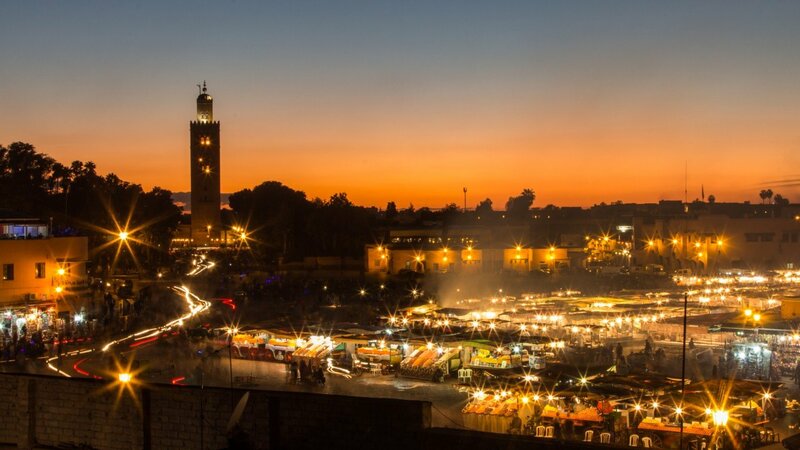 In the evening, the dim glow the lanterns emit light up the darkened corners of the Souks and it’s a common sight to see tourists and Marrakshi locals drawn into the lamps stalls like moths to a flame. 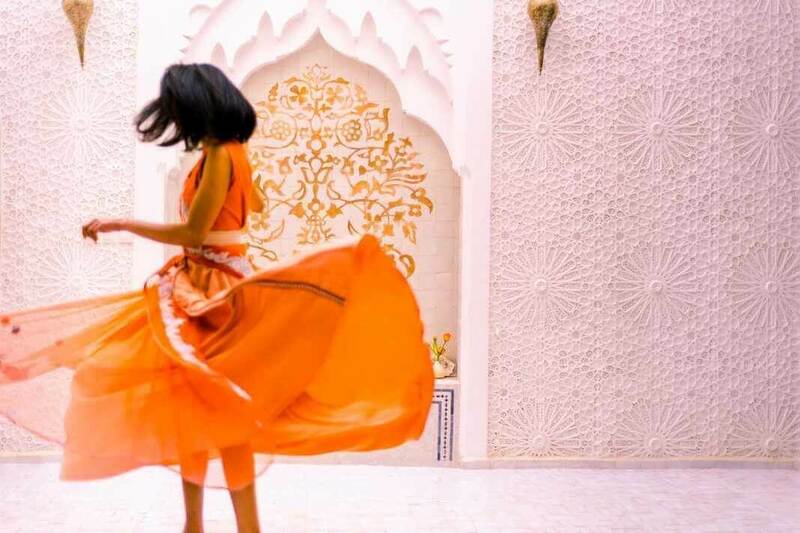 Trips to the Souk district will be one of the highlights of your adventure in Marrakech. 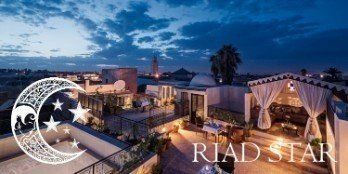 They stay open from 9am to 9pm so it’s advisable to visit in the cool of the morning or as the sun starts to set if you are finding it hard to acclimatise to the high temperatures of Morocco. 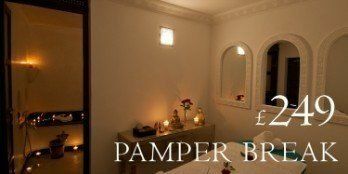 Finally, remember haggling is key! The art of haggling is integral to the culture of transactions that take place in the Souks and stall owners will be disappointed if you don’t try!